Since we are in the spirit of spring dressing, this week's look is all about fancying up a warm weather look. Going formal in Spring can be tricky, but the right pieces can make you look positively posh. Starting off with the dreamiest of designer skirts, this Dries Van Noten creation was worn on the label's Spring '19 runway in Paris. We recommend watching the footage to truly appreciate the way it moves. 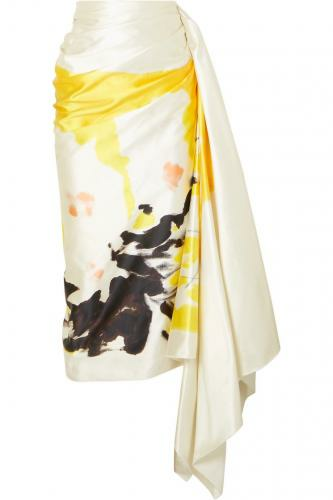 Made in Italy from cotton and silk-blend satin, it's artfully gathered along one side, creating a beautiful drape. Allowing this showstopper to be the star of our outfit, we went simplistic with the top. 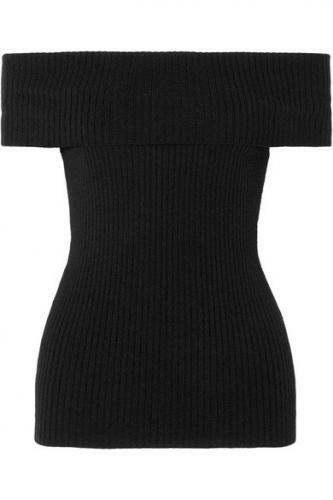 This off-the-shoulder Georgia Alice 'Otto' style is made from lightweight black ribbed-knit merino wool and cashmere blend that's spun for a slim fit, so it will neatly tuck into any cinched bottom. To bring out the soft watercolors in the lovely skirt, colorful accessories are a must. These no-fuss Gianvito Rossi 'Portofino' sandals bring some instant sunshine to your feet. Expertly made in Italy from butter-smooth yellow leather, they have a retro-inspired buckled ankle strap and lightly cushioned footbed for extra comfort. 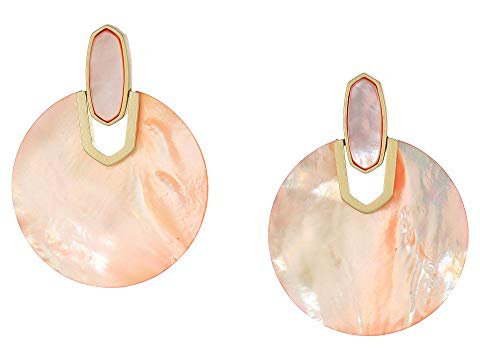 Drawing out the subtle flecks of apricot is Kendra Scott's beautiful 'Didi' earrings. These sleek textured discs are crowned with geo cutouts for eye-catching charm. 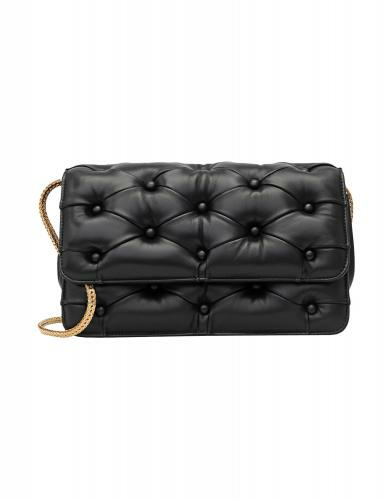 For our bag, we took a turn to the dark side, adding sophistication to this entire ensemble. Benedetta Bruzziches is known for making sumptuous arm candy and this design is a perfect example of that. Made with black Nappa leather, Alcantara lining and a chain shoulder strap, this little beauty is so versatile it will easily become a wardrobe staple. Finishing up our look with a little makeup, we wanted to step outside the box. The flick of a bold liner can open up your eyes in a whole new way. 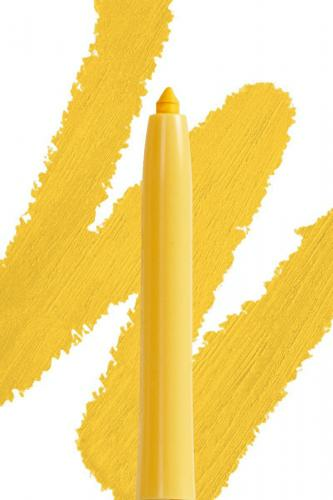 This buttery shade and formula by Colourpop is not only unexpected, but creamy and long lasting too. Whether you have an evening soiree or a spring wedding, in this look everyone will be swooning over your dash of sash style.